Royal Caribbean's Oasis of the Seas is out of a 14-day drydock and back in service with a lot of new upgrades, fixes and enhancements. The changes to Oasis of the Seas include reimagined dining, game-changing high-speed internet, exciting new retail offerings, a new popular and favorite Broadway show, new suites with exclusive suite dining and lounge. Guests will enjoy menus of the new concepts beginning March 14, 2015, onboard Oasis of the Seas. Guests sailing Oasis of the Seasprior to March 14, will enjoy the traditional dining room experience in the newly designed spaces. Other specialty restaurants that were previously on Oasis of the Seas remain, such as Giovanni’s Table, 150 Central Park and Vintage Wine Bar. Oasis of the Seas will also feature CATS as its Broadway show. This replaces Hairspray, which debuted on Oasis of the Seas back in 2009. Sister ship Allure of the Seas will change its Broadway show from Chicago to Mammia Mia!, which is also the Broadway show on Quantum of the Seas. Lastly, the Royal Promenade on Oasis of the Seas has been updated as well. Here you'll find shops from Michael Kors and the Britto Art Gallery, as well as a whole new line-up of merchandise and fashion jewelry such as, Alexis Bittar, Uno de 50, Lauren G Adams, and Nina Nguyen. 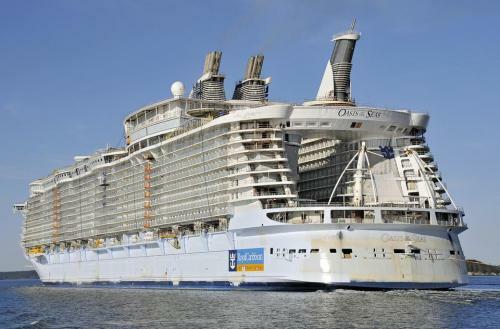 Sister ship Allure of the Seas will follow suit in May 2015 with nearly identical enhancements.